This soup remains me of my grandmother; she used to make it for me when I was a little kid. I know the recipe from her. 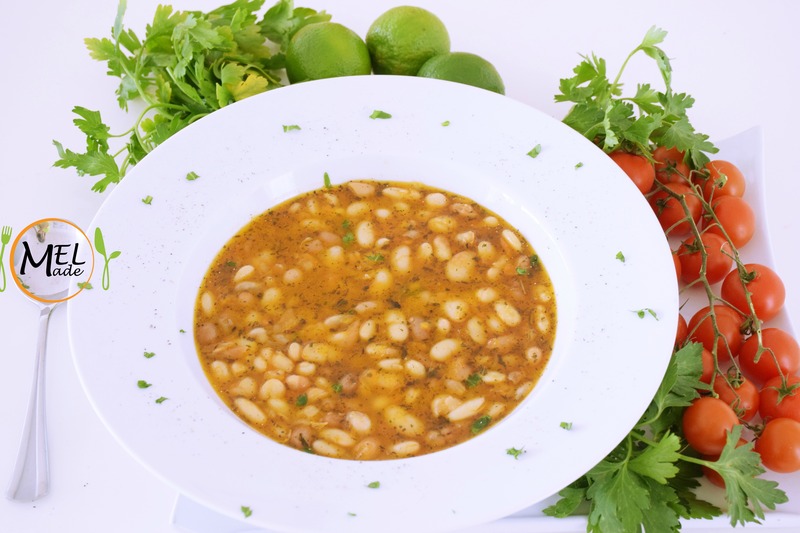 If you ask me what is the most popular food in Bulgaria, I would say- BEAN SOUP, that we call ‘Bob Chorba.’ You may notice this when you eat something it brings you back so many good memories. That’s the case with this soup, and I like it not only because it’s healthy but because it brings me back to that careless year in my childhood. Soak the beans in cold water overnight. Next morning drain off the water, add the same amount of fresh water and bring to boil. Boil in an earthenware pot (or regular pot) together with the oil, finely chopped carrots, onion and celery. Simmer gently for 1-2 hours or until the beans soften. The sliced peppers are added later; the grated tomatoes and mint, when the beans have turned tender. Add salt and boil for another 15-20 minutes. Hi there,I check your blog named “Bean Soup | Mel Made Life” daily.Your story-telling style is awesome, keep doing what you’re doing! And you can look our website about تحميل اغانى.